It is important for parents to clearly define their expectations for their teen’s behavior and responsibilities. I created a FREE Teen Therapist Parenting Support Manual to help you and your teen reflect on their behavior, as well as your expectations for their behavior, so as to open a discussion where mutual understanding and cooperation can take place. Allows you to put in writing the expected behaviors and responsibilities you and your teen have agreed to, along with the agreed upon positive and negative consequences when those behaviors and responsibilities being upheld or not. As a parent, you are expected to provide your teen with a roof over their head, food to eat, clothes to wear, medical treatment, and protection from harm. However, cell phones, computers, spending money, stylish clothes, extracurricular activities, and driving or being driven to their friend’s homes are all privileges that your teen may earn through respectful and cooperative behavior towards you, their parents. Implementing these concepts can take some time, and will vary substantially depending on the emotional maturity of your child. Don’t feel like you have to tackle them all at once. If there are other significant issues that are being addressed, you may want to implement these concepts when things have settled down. In some situations, parents have not had the previous experience of entering into a similar discussions with their own parents. I am more than happy to work together with you, to help facilitate these discussions. Providing service for: Beverly Hills, Brentwood, Culver City, Los Angeles, Malibu, Pacific Palisades, Santa Monica, Venice, Marina Del Rey, Mar Vista, and Topanga Canyon. 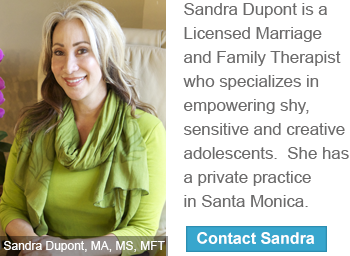 "I help parents to understand the issues teens face today and support their kids in successfully navigating the adolescent years. Take that critical next step and allow me to demonstrate the value I can offer to your family." Your problem has a solution. Your question has an answer. Is Your Teen Ready To Leave For College? Is Your Teen Exploring Their Gender Identity?